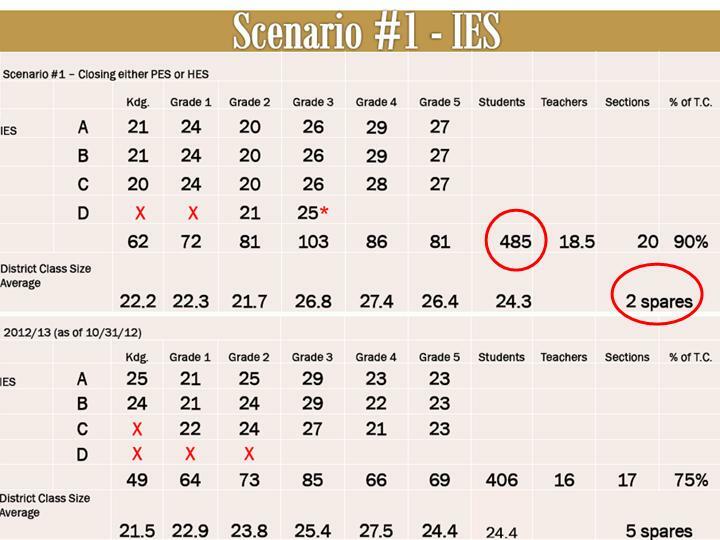 The chart below shows the impact on each elementary building based on the redistricting scenarios presented at the Nov. 14 and Nov. 28 school board meetings. The district has not provided maps or other information related to these scenarios. Based on the district’s records, elementary enrollment has increased by 31 students since the start of the school year. Peebles and McKnight Elementary have seen the largest number of new students. Since the start of the year, Peebles Elementary has increased by 9 students and McKnight Elementary has increased by 14 students. At Peebles, 4 of the 9 new students are in first grade, which illustrates the importance of operating classrooms below class size guidelines at the start of the school year. Peebles started the year with 3 first grade classes of 23, 23, and 24 students, but those sections are now operating at 25, 25, and 24 students. 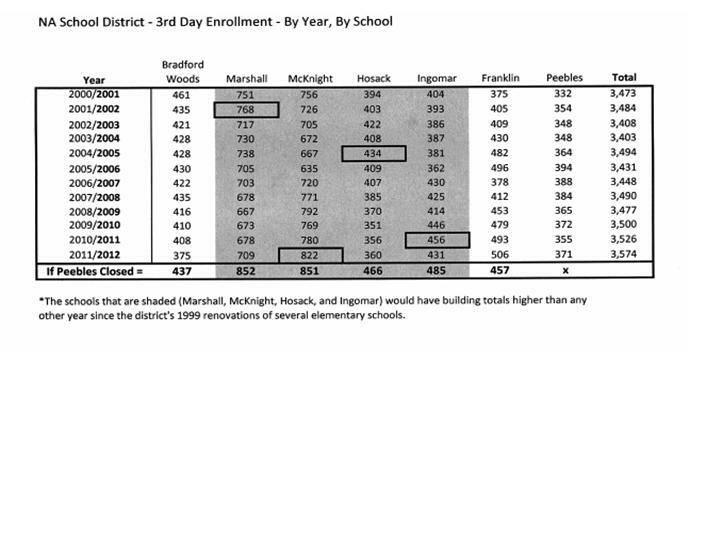 The chart below illustrates changes in elementary enrollment at each building for the current year. All information was obtained from the district under the right-to-know law. 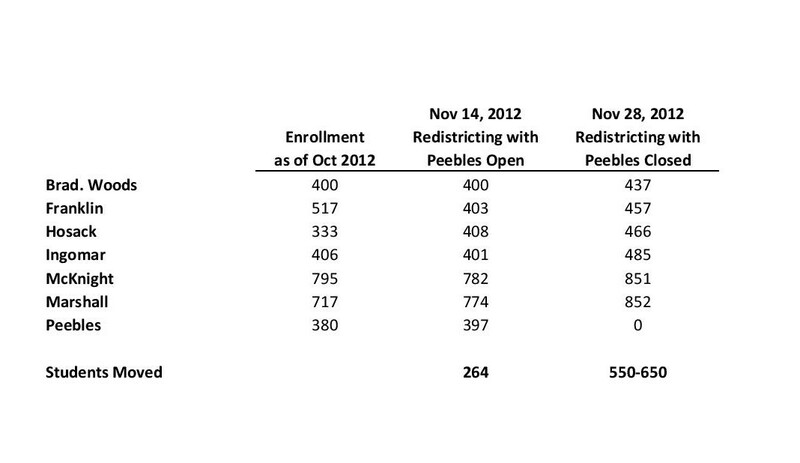 If Peebles is closed, 4 of the 6 remaining schools would have building totals higher than any other year since the district’s 1999 elementary renovations. The district’s successful elementary model, which has withstood the test of time, would be abandoned in place of a new model. The new model would operate 3-round schools as 4-round schools and leave some buildings with only one spare classroom to manage class size. All supporting documentation can be found by referencing Attachments 2-7 and 20-31 of Community Report #2. We’re asking parents from every elementary school to register to speak at the January 30th hearing and speak about the impact closing Peebles will have on YOUR school. You can register to speak by emailing the school board secretary, Rose Mary Ryan, at rryan@northallegheny.org. Based on the October 24th proposed floor plans, Marshall would’ve had to use its 4th Centrum and GOAL room as classrooms. Only one “spare” room would’ve remained and it’s currently used for the YMCA program. 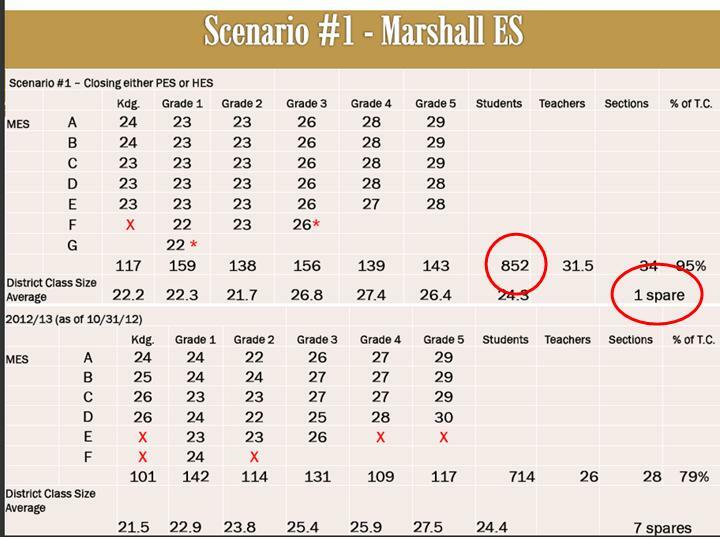 According to the Sept 28, 2011 school board minutes, the Venango Trails development (adjacent to Marshall) could add 190 students to the Marshall area. 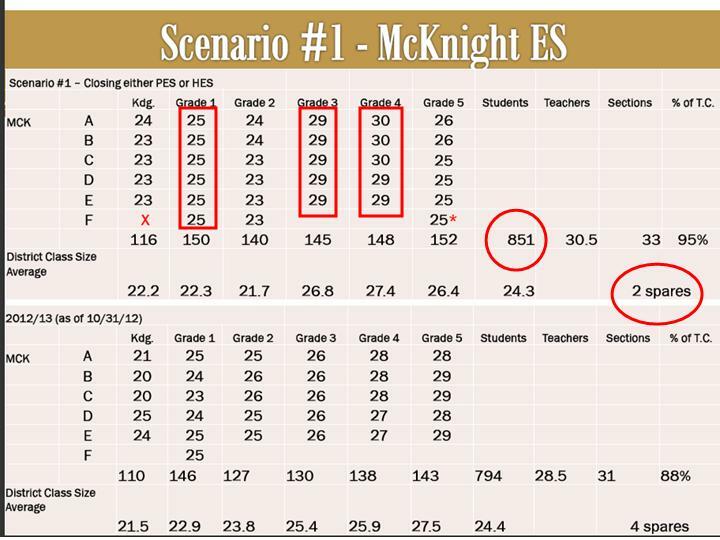 4th grade would have increased by 2 students per class (current class sizes are 27, 27, 28, 28, 28, but would’ve been 29, 29, 30, 30, 30). Based on the October 24th proposed floor plans, only 2 “spares” would’ve remained at McKnight (the Student Assistance room and Faculty Lounge). An increase of 1 student in 1st grade and 3 students in 4th grade would’ve required the use of both spares, unless the district goes above class size guidelines. Based on the October 24th proposed floor plans, only 2 “spares” would’ve remained at Ingomar (the LGI room and GOAL room). The LGI room has no windows. An increase of 4 students in 1st grade and an increase of 5 students in 4th grade would’ve required the use of both spares, unless the district goes above class size guidelines. Based on the October 24th proposed floor plans, only 2 “spares” would’ve remained at Bradford Woods (the Life Skills and GOAL room). According to the Sept 28, 2011 school board minutes, the Venango Trails development (adjacent to Bradford Woods) could add 190 students to the Marshall area. Based on the October 24th proposed floor plans, only one “spare” would’ve remained at Hosack (the Learning Support room). 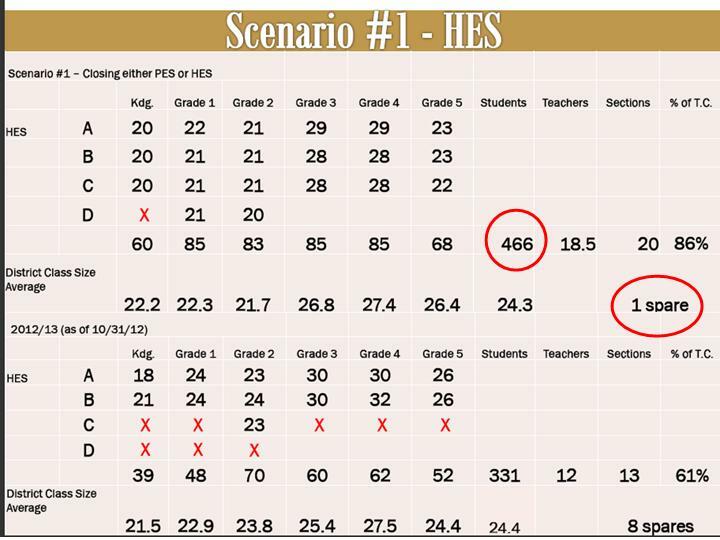 An increase of 6 students in either 3rd or 4th grade would’ve required the use of Hosack’s only spare room, unless the district goes above class size guidelines. Hosack sits adjacent to several housing plans that are currently under construction, including Heartland Homes Waterford Place. Its operating capacity would go from 96% to 85%. 5th grade would have operated 3 sections (same as currently). 4th grade would have operated 3 sections (same as currently). 3rd grade would have increased by an average of 3 students per class. 2nd grade would have operated 4 sections (same as currently). 1st grade would have operated 4 sections (same as currently). Kindergarten would have operated 3 sections instead of 4. Based on the October 24th proposed floor plans, only 2 “spares” would’ve remained at Franklin. One is a faculty lounge that is only 645 square feet. Franklin sits adjacent to several housing developments along Nicholson Road that include 85+ single family homes, 110+ townhouses, and 225+ apartments. (2) the district’s process is incorrect. The district’s failure to adhere to a best practices model for closing a school DOES NOT mean that a school other than Peebles should be closed. 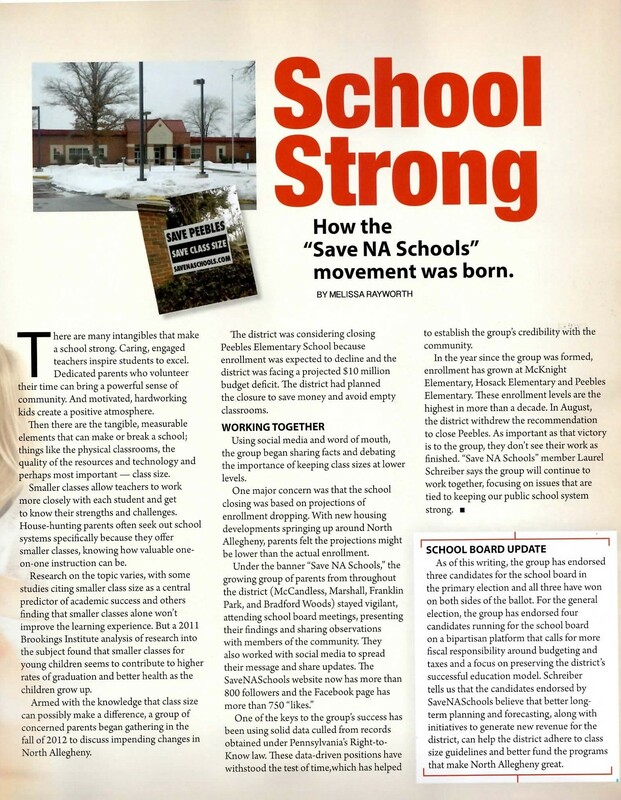 It merely highlights the district’s failure to involve taxpayers, lack of due diligence and inconsistencies regarding the process for closing a school.